Two Makerspaces are thriving in the Mid-Island located in Nanaimo and Parksville. 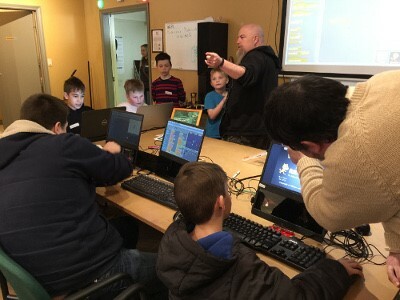 Makerspace Nanaimo started in 2013 and Makerspace Oceanside started this year are part of the global hacker movement that came to North America from Europe in 2007. It’s a growing movement of “open source” creative and collaborative learning. Makers believe this new way of collaborative learning: sharing space, equipment, knowledge, and curiosity, will contribute to all aspects of a healthier vibrant community, especially preparing for economic and environmental challenges. Most creating and learning tends to be workshop or project based. You can tinker on your own or be part of a self-defined group with a shared interest. MakerSpace attracts a group of like-minded thinkers to talk about ideas, and if motivated, move them towards projects, innovation, and inventions. Each MakerSpace has its own look and feel based on who comes to tinker, share and learn. MakerSpace Nanaimo has several shared interests including 3D Printing, Programming and Coding, Engineering, Gaming, Woodworking, Metalworking, and Robotics. Almost all of the tools and equipment in the Space are donated but we occasionally crowdfund for new, more expensive items such as our new CNC machine. MakerSpaces tend to be value-based, not bureaucratic. Our leading value is “Be Excellent to Each Other”. We are a registered not-for-profit so we have Directors, but they are embedded in a Leadership Team which is made up of members that step up to share responsibility moving the Space forward.